I have been pretty into dips lately, dips of all kind. 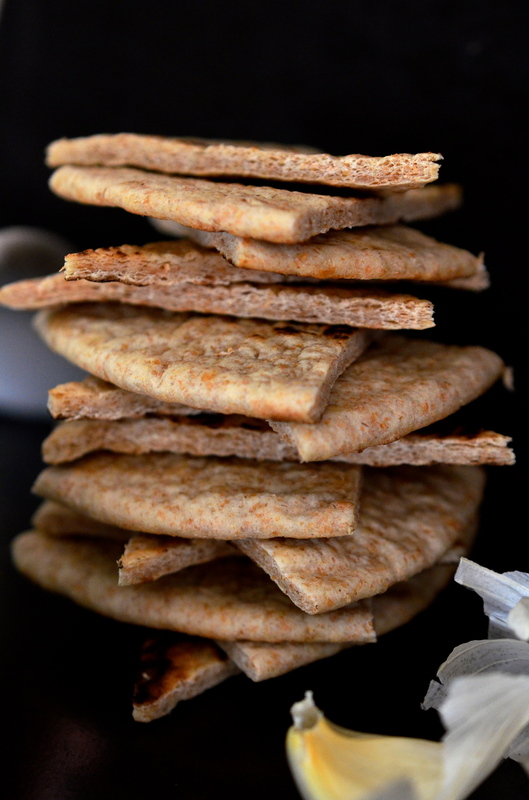 Hummus and whole wheat flat bread has been my go-to “I just got home from work and I am hungry and need something to hold me over until dinner”/”I just got out of work and I am starving so I accidentally eat too much dip and then am not hungry for dinner” snack. Oops. I currently have a spicy avocado hummus in my fridge that I cannot wait to dominate. 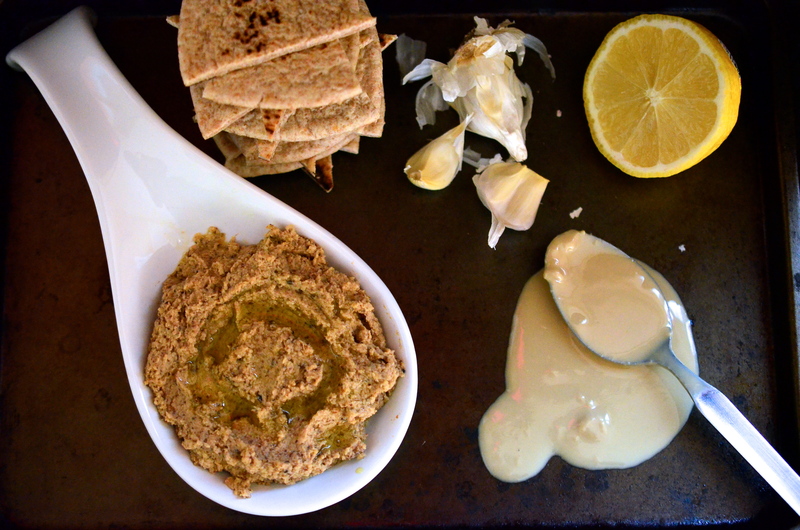 But, as I am writing up this post, I also wish I had more of this roasted cauliflower dip. But alas, I don’t… because I finished this in maybe 2 sittings. Classic me. Cauliflower doesn’t get enough attention. Since it is white, it is often assumed that it lacks the nutritional value of its green brethren. However, it is still a cruciferous vegetable that you should consider putting into your weekly mix! Its flavor is a bit subtler, so it is easy to sneak it into more dishes. If you put broccoli into something, it immediately becomes a broccoli dish. But think of cauliflower as more of a healthy blank canvas. 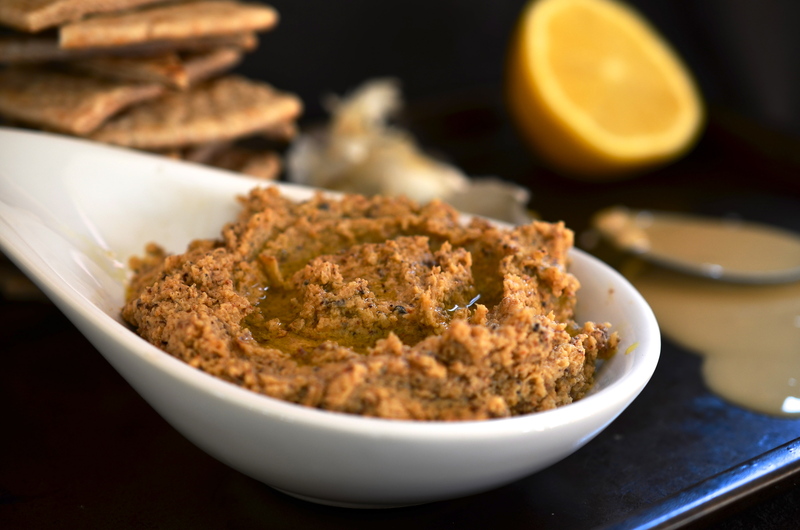 In this dip, roasting it intensifies its flavor a bit and is a great canvas for the bright flavors of ginger, lemon, and sesame. The texture was that of hummus, however it tasted completely different that hummus, in the best of ways. It is also a bit lighter, so you won’t completely ruin your appetite if you have this as a pre-meal snackaroo. I can’t even handle how good this ended up being. And I kind of hate that I am not making/eating this right now. I don’t remember where I saw the inspiration for this, I think maybe in a Huffington Post e-mail? Toss the cauliflower with the oil, ginger, garlic cloves, and a few shakes of salt and pepper. Spread mix onto a rimmed baking sheet and roast for 40 minutes, stirring 20 minutes in. Transfer roasted cauliflower to food processor and add the tahini and lemon juice. Pulse into well combined and add salt to taste. Add the cilantro and pulse until just incorporated. Transfer to bowl and serve eat entirety of bowl with whole wheat pita bread. 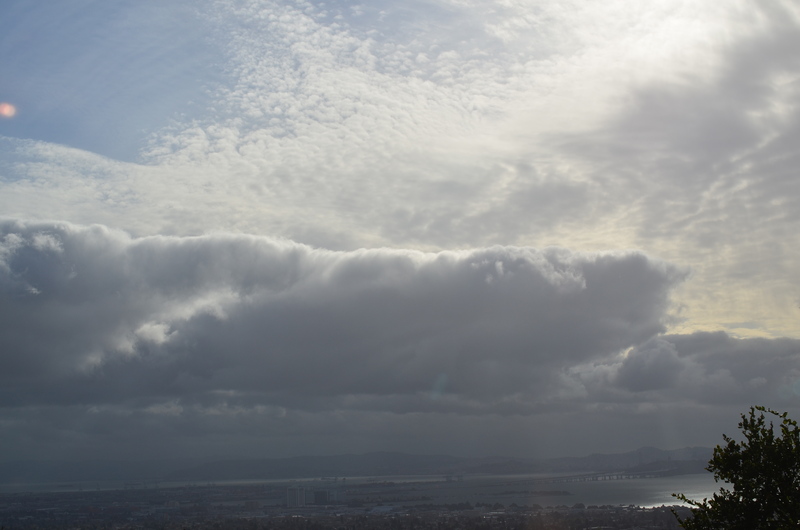 A pretty cloud I saw outside my window while taking these photos :-). 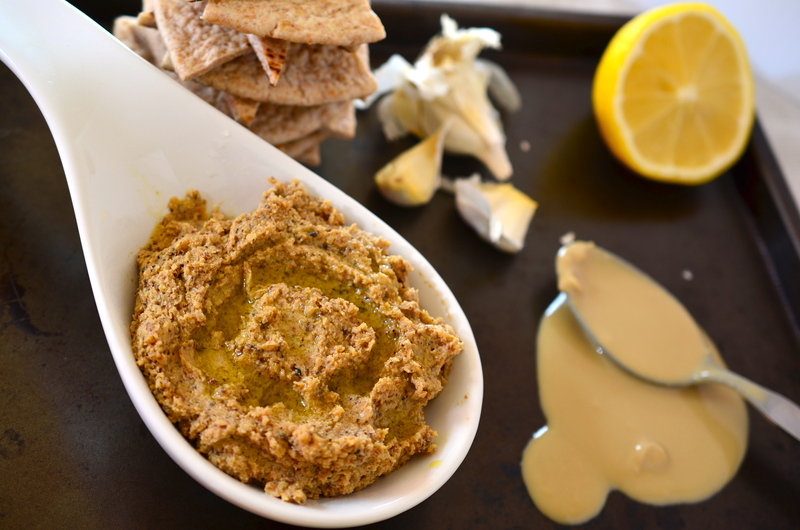 This entry was posted in cauliflower, dip, Mediterranean, snack, Vegan and tagged cauliflower, dip, snack, vegan on March 27, 2013 by Veggie with a Cause. I will admit, my obsession with corn is getting a little out of control. But what can I say, corn is delicious! A fresh ear of sweet corn in the summer? Doesn’t get any better. Bianca and Gus also really love corn. Like, REALLY love it. So they are happy with this recent obsession. I’ve had elote on the brain lately, and have been dreaming of making a vegan version of it. I have had this elote recipe flagged for a while now and was building my arsenal to bang this out for dinner one night. 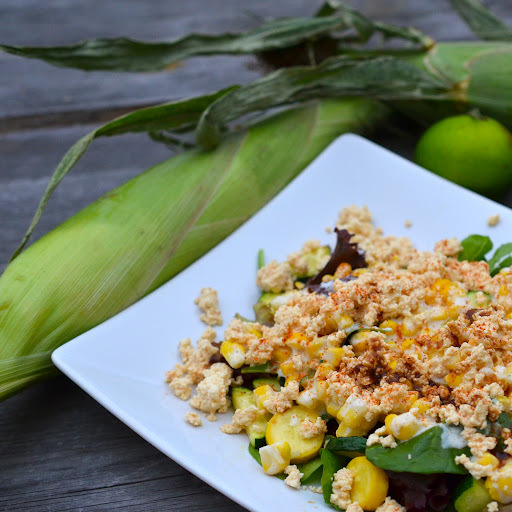 The night that I decided to make it, I popped the corn in the oven to roast when I said to myself, “hmm, how can I make this into a main dish?” When alas, I decided to turn this into an elote salad! 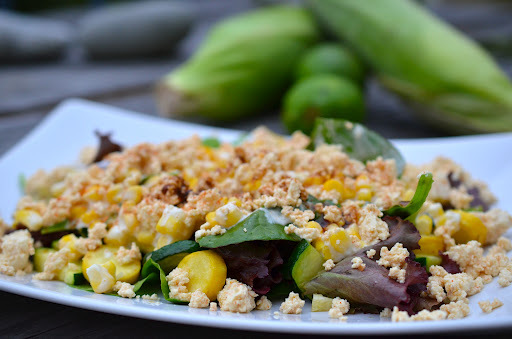 I had some lettuce and spinach in my garden that I had yet to harvest and some squash left from our last CSA… all of that together with extra of the crumbled tofu topping and we have ourselves a well-balanced winner of a summer dinner. I should note that my meat eating roommate was passing through the kitchen as I was making this… and I told him the tofu was cheese, so he sprinkled some on his sandwich and proclaimed how delicious this “cheese” was. The dish had a bit of a sweetness to it from the corn, some crazy flavor action from the garlicy squash, a bit of spice from the overkill amount of hot sauce I accidentally poured in, but luckily cooled down by the tofu… and all of this was over some super crispy and fresh lettuce and baby spinach from my garden. Each of these components alone were delicious, but when you put them all together… we are talking something out of this world. Place ears of corn in the husks in the oven for 30 minutes. Combine the tofu, salt, vinegar, lime juice, and nutritional yeast and set aside. Heat up a swirl of olive oil in a medium skillet over medium-high heat and sauté the garlic and summer squash for about 3 minutes. 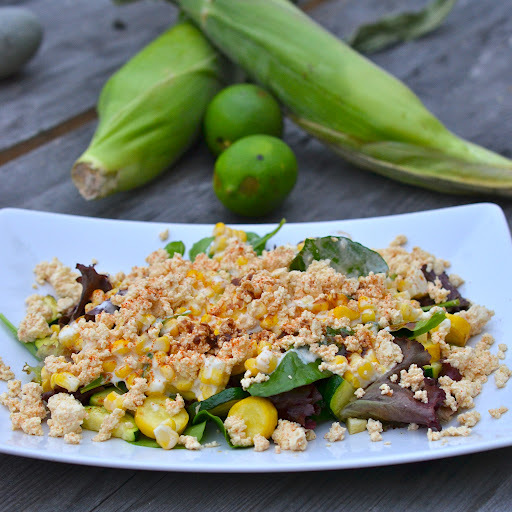 Remove the corn from the oven, let cool, remove the kernels from the cob, and sprinkle with juice from 1 lime. Toss the corn with the cashew cream and nayonnaise. 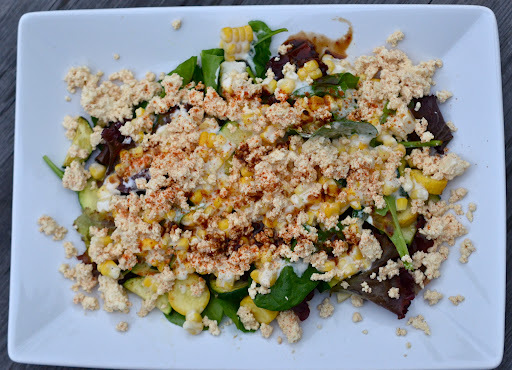 To assemble the salad: lay down the greens, top with the zucchini, then the corn, then the tofu, and finally top off with a dash of your favorite hot sauce. This entry was posted in corn, Mexican, snack, Vegan on July 16, 2012 by Veggie with a Cause.